TokenPay, The self-proclaimed “Bitcoin on steroids” has entered a partnership with the Litecoin Foundation for a 9.9% stake in the WEG Bank in Germany. In May 2018 TokenPay acquired just under 10% of WEG Bank with the option to purchase up to 90% if approved by the regulatory commission of Germany. 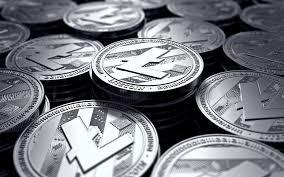 In a move to leverage Litecoins marketing and technology service TokenPay has handed the 9.9% over to Litecoin in hopes that it will put TokenPay on the map as a major player in the cryptocurrency market. What does this mean for TokenPay & Litecoin? This partnership will provide TPAY access to LTC’s massive user base and will give the users the opportunity to buy, sell & trade as well as gain access to the company’s debit card service. In turn, Litecoin will benefit by having exclusive access to TokenPay’s long-standing bank connections to hopefully integrate the LTC blockchain network into a wide range of monetary associations. Each company will play a crucial roll in the partnership by focusing on TPAY crypto and its accompanying blockchain as well as the TokenPay multisignature transaction engine, which should accelerate payment and transaction speeds tremendously for both companies. There is no word yet on exactly when the technology side will be implemented but TokenPay is geared up to make some major moves that include partnering with multiple other financial establishments. 4. Connect to multiple SQL servers at once. TIP: Create a folder and extract the files there.